Lebanon (MNN) — A fire sparked by a heater in the Bekaa Valley refugee camps last month spread and left 60 Syrians homeless. 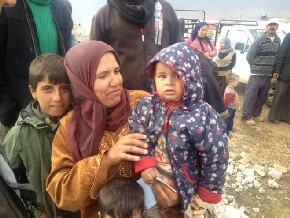 It’s just one of the dangers that nearly one million displaced Syrians faced during the winter months in Lebanon. 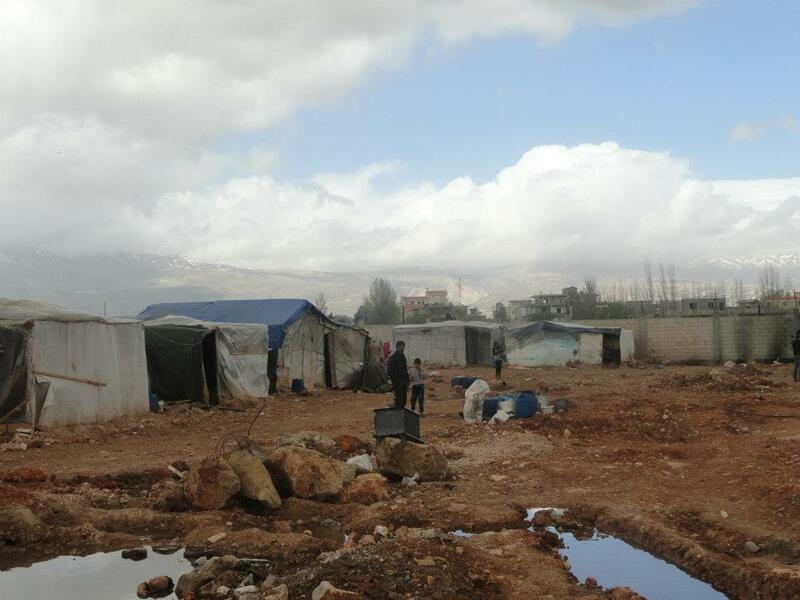 Around 250,000 Syrian refugees live in the Bekaa Valley where it can dip below freezing. The threat of illness increases in the refugee camps when wintry waters flood the tents. Those fortunate enough to have heaters risk the danger of fires starting — an especially treacherous element when tents are packed closely together. 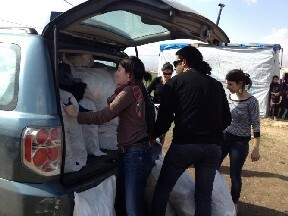 Triumphant Mercy Ministries serves Syrian refugees living in Lebanon by providing food aid, medicine, and clothing. They have even started a literacy and education program for refugee children. Nuna with Triumphant Mercy says everything their ministry does is in the name of Jesus. Despite the challenges, they are seeing God move in incredible ways. One story that recently struck her was how Jesus showed himself to a Syrian refugee man. The team with Triumphant Mercy built a relationship with this man and prayed with him and his wife. Not long after that, his wife miraculously became pregnant! The Syrian man started to experience a gradual heart-change as he learned more about the truths found in God’s Word and about a relationship with Jesus Christ. “Later on, he started to evangelize, even though he was still in the process of becoming a believer. He started to evangelize without knowing, just telling his story, telling his testimony everywhere,” says Nuna. Nuna says this man’s incredible story isn’t uncommon. Syrian refugees are largely Muslim, but many are in a spiritual crisis. Triumphant Mercy is currently increasing leadership training so they can equip indigenous Syrian Christian leaders to reach their own people. Then, whether they immigrate to another country or return to their homes in Syria, they can be a light for Christ wherever they go. It probably comes as no surprise that to serve hundreds of thousands of refugees takes a lot of resources and teamwork. If you’d like to support Triumphant Mercy, click here to visit their website! But Nuna says something they covet from every believer is especially prayer. Please pray for God to reveal himself to more Syrian refugees who need his hope and love. Pray that more Christians in Lebanon and around the world will engage this window of opportunity to reach refugees in the name of Jesus Christ. 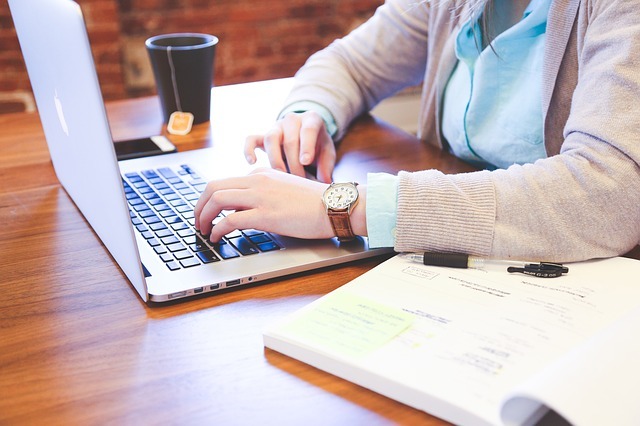 Pray for staff with Triumphant Mercy to be spiritually encouraged as they serve. Ask God to draw more refugees in Lebanon to himself. Pray for more workers to go into the harvest.